OPAM 1.1 is no longer supported. Documentation for OPAM 1.2 is available here. This tutorial covers most of the OPAM features you will want to use. For a quick overview of most common OPAM commands, the Basic Usage tutorial is a good reading. There is also a dedicated guide explaining how to use OPAM efficiently in a development workflow. This command will update the locally-saved states of your repositories to make sure you have access to the last updates from them. You are now ready to install packages. But first you probably want to see what packages are available and get some info about those packages. This will display as many lines as there are packages available, and each line displays the name of the package, its version if it is installed, and a short description. For the moment, you don’t have any installed package, except the so-called base packages that aren’t real OPAM packages, but modules that may or may not be distributed with you OCaml installation. The base packages are just an indication of whether the compiler comes with these modules or not. This will display something similar to opam list except for it is only going to display available packages whose name or description match the string foo. This will display information about the package opam. This information includes the installed version if the package is installed, all available versions that can be installed, and the full description of the package. If the package to be installed has no dependencies or if all its dependencies are already installed, then OPAM will install it without further ado. Otherwise, it will print a summary of the actions that are going to be performed, and you will be asked if it should go ahead or not. A package can also have optional dependencies. These are dependencies that the package can make use of, but that are not mandatory. They will not be installed with the package by default, but opam install will take advantage of them if they are already installed while installing a package that optionally depends on them. For example, if you install react before installing lwt, opam install lwt will configure lwt to use react, but just installing lwt will not install react. OPAM is even able to track optional dependencies. This means that while installing a new package, OPAM will check if any already installed package optionally depends on the package to be installed, and will recompile such packages and all their forward dependencies. For example, doing opam install react after an opam install lwt will have the effect to recompile lwt (with react support) as well as all the packages that depend on lwt. to upgrade your packages. The dependency solver will be called to make sure the upgrade is possible, that is, that most packages can get upgraded. OPAM will select the the best upgrade scenario and display a summary of what will be done during the upgrade. You will be asked if it should go ahead or not. This is similar to what happen when you upgrade your packages in most operating systems. 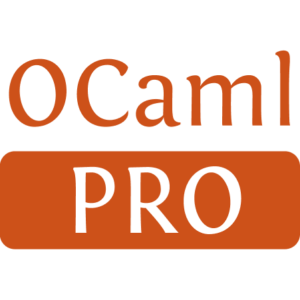 OPAM has the ability to install and use different OCaml compilers. This functionality is useful if you need to use different compilers on the same computer, and will make it very easy to switch between different compiler versions. This functionality is driven by the opam switch command. Using opam switch --help will give you the full documentation. What follows is a short primer for the most useful features. opam switch list will display a list of the available compilers. The first section is a list of installed compilers on this computer. It contains at least system, which is not a compiler installed by opam but the compiler that was used to compile opam in the first place. A “*” symbol will be displayed before the current selected compiler. 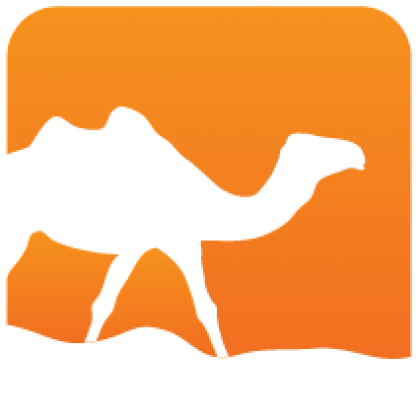 opam switch 4.00.0 will make opam to switch to OCaml 4.00.0. If opam did not install it already, it will do so now. The first opam switch therefore takes the time it needs for your system to compile OCaml 4.00.0.
opam switch remove <version> will just delete an opam-installed compiler from your system, thus freeing some disk space. After switching to another compiler, opam will ask you to update your environment by running eval `opam config env` . Indeed, compiler switching rely on environment variables so that your shell can find the libraries and binaries corresponding to the compiler you selected. Please don’t forget to run this command! For example do opam switch -install foo -alias-of 4.00.0 will make a copy of OCaml 4.00.0 under the name foo. Note that the state of compiler 4.00.0 will not be replicated in foo. foo is brand new with no packages installed. The import installs all packages from the file into the currently selected compiler. The above sequence of commands will install all packages installed in the compiler <version> into the compiler <other-version>. This command will use the content of </local/path> to compile <package>. This means that the next time you will do opam install <package>, the compilation process will be using a mirror of </local/path> instead of downloading the archive. This also means that any modification to </local/path> will be picked up by opam update, and thus opam upgrade will recompile <package> (and its forward dependencies) if needed. By default, local directories will be pinned as local backends. You can change that default choice by forcing a given backend kind using the --kind option. OPAM supports using multiple repositories at the same time, and supports multiple repository backends as well. Currently supported backends are HTTP, rsync, and git. The HTTP backend is used when the repository is available via the HTTP protocol, typically because it resides on a public website. This backend is the equivalent of what most Linux distributions are using to manage their packages. This backend needs either the curl or wget program to be installed on your system to work. It is also the default backend used by opam when doing a opam init. The rsync backend uses the rsync program to fetch data from a repository. It can thus be used if the repository is accessible to the rsync program, that is either locally (on your computer’s filesystem) or via sftp. The git backend uses git to fetch data from a repository. It will be used if the repository is stored as a git repository. These three backends should be sufficient to access most repositories. Additional backends can be added without much effort because of the modularized interface, basically, adding a backend means just implementing a module matching the REPOSITORY signature. From repositories, OPAM makes a global index of all available packages. This means that if two repositories export the same package, OPAM will download it from a random one (in practice, from the last added repository). You can change that by editing ~/.opam/repo/index and moving the repository you want to use in the beginning of each package line you want to install from this repository. OPAM will add the default OPAM repository when initializing, and you add your development repository afterwards under the name devel. The git backend will be used because the URL starts by git://. By default, OPAM manage to figure out automatically which backend to use. See opam help remote for more information. because for example, you want to hack the packages, or you want to add some packages that are not available in the public repository yourself. Afterwards, you can modify packages into ~/myrepo and use them in opam after doing an opam update. Generated from Advanced_Usage.mdusing opam2web, courtesy of OCamlPro. Commercial support.